Can I trust the caregiver that ABC Nanny Source recommends to my family? Absolutely! We would never send a nanny that we would not personally trust in our own home. Equally, ABC understands that you would not invite just anyone into your home and private life. Our extensive 10 Step Screening Process includes electronic fingerprinting, a Social Security Trace, driving record checks, criminal background investigation, a 5 panel drug test processed through Quest Diagnostics and reference verification. We assure you that each ABC staff member goes above and beyond the call of duty, so we are confident that you are being presented with only the safest and most qualified Nannies. You can trust that every conceivable measure has been taken to ensure the safety of you and your children. Is your agency locally owned? ABC Nanny Source is a Nanny Placement Agency that knows the local area and is familiar with the nannies and the common needs of families in the Arlington and surrounding areas. For this reason, ABC requires that each candidate seeking a Nanny position through our agency must come to an ABC recruiting office for a face-to-face interview with at least two ABC Placement Counselors. Does each of your Nannies on file speak English? 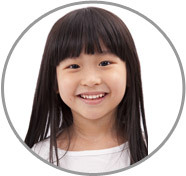 It is a requirement at ABC Nanny Source that all of our candidates can read, write, and speak English fluently. Many Nannies in our database are multi-lingual, so if you have a preference of having a childcare provider that speaks another language in addition to English, please feel free to let us know! How do you find the ideal match between Nanny and Family? In order to find the right match for each family, there are many factors to take into consideration. Each Nanny will be familiar with your local area because we place everyone within a 30-minute radius of their own home. Secondly, each ABC Nanny must have a good understanding of the position being offered, and feel completely comfortable with the entire job description, as well as the unique needs and requests for your particular circumstance. For example, if you have a newborn infant, your ABC Placement Counselor would only send you candidates that are completely comfortable and experienced with caring for newborns! ABC Nanny Source also matches families with Nannies who have specified the same pay-range (salary/hourly) so that there is no confusion in that area of the agreement on either end. 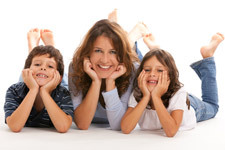 Families also have the option to specify a detailed description in regard to the type of Nanny they are looking for. For example, you could be looking for a Nanny who is bubbly or professional, nutritionally-minded, nurturing, or any other specific quality that you would be seeking in a Nanny. You just let us know and we will find the individual best suited to your requests! It is really up to you and what your family’s specific needs are. Our Placement Counselors do everything that we can to send you Nannies that meet all of the criteria that you specified. What types of Nanny Services are available? ABC Nanny Source specializes in the long term placement of full time live-out, full time live-in and part time live-out Nannies. Why should I use ABC Nanny Source rather than hiring someone privately from an online source that posts ads? With ABC Nanny Source all individuals are required to adhere to state and local standards where a private individual is not regulated to adhere to any standards. Also, all ABC Nannies have undergone extensive face-to-face interviews, comprehensive criminal background and reference checks, a Social Security Trace, electronic fingerprinting, drug testing, and a driving motor vehicle report. In addition, ABC Nanny Source has a one year guarantee, which states that in the unlikely event that your Nanny does not work out we would certainly work as quickly as possible to replace your Nanny. ABC Nanny Source also provides both the Nanny and the family with a detailed Offer of Employment signed by both parties stating the core schedule requirements of the position, compensation agreement and industry standard vacation and holiday benefits so that there is never any confusion! However, the most compelling reason to use this professional agency is because a large percentage of the applicants we turn away for various reasons, some serious and some not as serious, turn to online avenues to post their resumes. These are not the type of nannies you want to be considering for your family. How much do ABC Nanny Source's services cost? After you placement counselor completes your in-depth consultation she will begin the search process. The search is complimentary and initiated at no fee, but we do require that you provide a valid credit card that can be authorized for the minimum hiring fee for the type of nanny search we are performing. After you have selected the nanny of your choice, and she has accepted your offer of employment, the hiring fee will be charged to the card provided unless other arrangements have been requested in advance. Full Time Live-In Nannies that are needed for 50-60+ hours per week are provided to you at a fee of 14% of the Nanny’s anticipated gross salary with a minimum of $3,400. Part Time Live-Out Nannies that are needed for assistance with weekly needs between 25-39 hours per week are provided to you at a fee of 16% of the Nanny’s anticipated gross salary with a minimum of $2,800. Every ABC Nanny Source placement comes with a ONE-YEAR GUARANTEE. Are there a minimum number of hours that our Nanny can work for us? All of ABC's Part Time Nannies do require a minimum of 25 hours per week. Do you provide live-in help? Yes. ABC Nanny Source specializes in live-out as well as live-in childcare with candidates from your local community, rather than from out of the country. Our family has a dog that needs to be taken for walks several times a day. Can a Nanny help with this while our children are at school? Certainly! Pets are definitely a part of many families and most Nannies are more than happy to assist your pets while they are on duty! The hiring fee and any administrative fees, if required, can be paid by Visa, MasterCard, American Express, or Discover, for your convenience. The Nannies that will be presented to you will all be from your local community and will come with an abundance of experience! 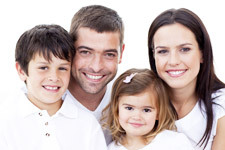 ABC Nannies are selected based on a wide variety of factors and requirements. There are hundreds of Nannies that apply to be represented by ABC and we only accept around 10% of those applicants. We only want the most qualified candidates for our families to choose from! Any further questions will be gladly answered by ABC Nanny Source staff members Monday through Friday, 9:00am-5:00pm. Contact us today!